Celebrating over three years in Alexandria. Come see why people love us! 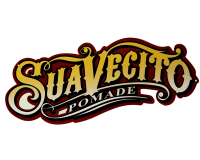 What makes Cut & Shave Barbershop different than other barbershops? Our barbers are well trained and experienced. We can work on any hair types and textures. One stop convenient hair care for the whole family. Come see why people love us! Our number one goal is to make you look your best. Why spend days at different salons when we can take care of your entire family—all at once. We use organic sugar for extra smooth and long lasting results. Our wide selection of professional hair products will keep you looking great after your fresh cut. Closed only on major holidays.